Since beginning her practice in 1995, Leslie MacLean has focused on complex civil litigation representing plaintiffs in the areas of product liability and toxic torts. 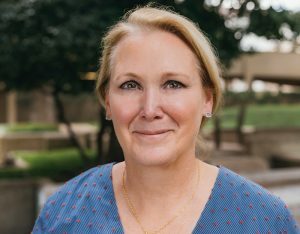 Born in Frankfurt, Germany, Leslie earned her Bachelor of Arts degree from the University of Oklahoma, and her Juris Doctor degree from the University of Houston Law Center. Before attending law school, Leslie worked in the Texas Legislature as a legislative assistant and as the committee clerk to the Texas Senate State Affairs Committee. She has taught continuing education courses for lawyers and paralegals and is a former associate editor of the Appellate Lawyer. Leslie is a member of the American Association for Justice, the Public Justice Foundation, the Texas State Bar Association, the Texas Trial Lawyers Association, where she served as a board member, and a member of the Dallas Trial Lawyers Association. She was admitted to the State Bar of Texas in 1995 and the State Bar of Pennsylvania in 2011. Leslie joined Waters Kraus & Paul in 2001 and became a partner in 2005. She is a former board chair of Planned Parenthood of North Texas, and a former board member of Planned Parenthood of Greater Texas, where she co-chaired the Nominations Committee and served on the Governance Committee. She is also an Annie’s List Board member and a member of the Dallas Annie’s List Steering Committee. She has served as luncheon co-chair for the Dallas Annie’s List and Planned Parenthood Luncheons. Leslie is also a former chair of the Planned Parenthood of North Texas Political Action Committee and is involved with the North Texas Food Bank Backpack for Kids Program.